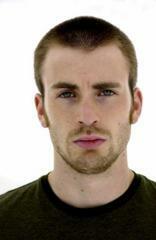 Christopher Robert “Chris” Evans (born June 13, 1981) is an American actor best known for playing Johnny Storm/a.k.a. The Human Torch in the Fantastic Four live-action films, and portraying Captain America the Marvel Cinematic Universe films Captain America: The First Avenger, The Avengers and Captain America: The Winter Soldier. He plays Casey Jones in the 2007 film.